The original institute offered entry-level courses in fast food, food preparation, pastry making, front office and housekeeping, comprising just five classrooms, three professors and 48 students. Growing from strength to strength, it is now a renowned college with a dedicated campus in Barbar, state-of-the-art facilities and collaborations with the world’s best hospitality and retail schools. Alongside the focus on Bahrainisation of the workforce, Hatim observes that the country’s retail and hospitality sectors have seen tremendous growth in the last decade. “With the number of new hotels, malls and hypermarkets springing up, the need for skilled Bahrainis has risen manifold. The demand was, and still is, much more than the supply. Today, this market needs an additional 10,000 vacancies to be filled. So, the professional scope in these fields is tremendous,” he says. The institute has a close rapport with the very best operators in the business. They recruit its students. The Ritz-Carlton, Four Seasons, Golden Tulip, Sheraton, Radisson and Sofitel are just some of the hotels, along with the big retail chains. “We have six Career Days organised throughout the year, in which 99 per cent of the students secure placements, which is testimonial to the high standard of training they receive. The recruiters see their capability and pick them up even before they complete their courses,” says Hatim. BIHR has entered into a partnership with the Hotel and Tourism Management Institute (HTMi), in Sorenberg, Switzerland, to provide the internationally recognised Diploma in International Hotel & Tourism Operations. Hatim says: “The two-year course offers cutting-edge programmes of study, and is designed to equip students with the necessary skills to undertake roles in service industry operations. The study course is an exact replica of the one taught by HTMi campuses in Switzerland and Singapore, and meets the requirements of five-star hotel companies worldwide. BIHR also arranges for international personalities to address audiences in Bahrain and finds a way for students to benefit. “We have hosted eminent personalities like John Maxwell, Robin Sharma and Deepak Chopra, and these seminars are free for our students and alumni. Also, the events are planned and executed by the students, giving them a taste of event management,” explains Hatim. The management of BIHR appreciates the consistent support received from Tamkeen and the Ministry of Labour in Bahrain. 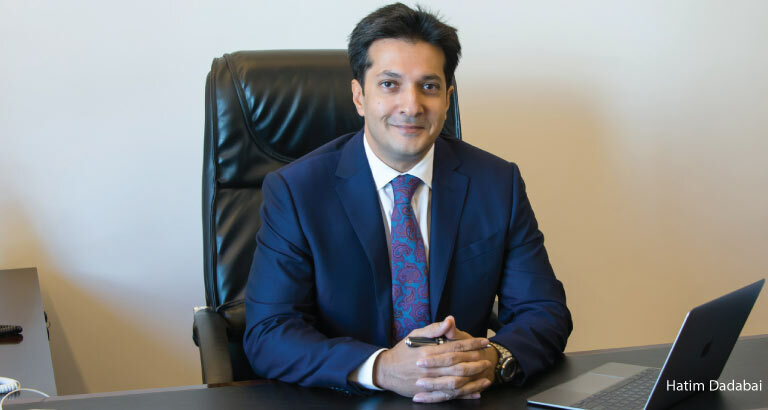 “We are glad that the government, through the Economic Development Board of Bahrain and the Ministry of Industry, Commerce and Tourism have given a much-needed push to the tourism sector,” says Hatim. Those with a diploma from BIHR can opt to acquire a bachelor’s and, subsequently, a master’s degree at HTMi Switzerland or Singapore, or another university in the world. There is also the exciting option of continuing the second semester of the programme in Sorenberg, Switzerland. Students interested in making a mark in the retail sector will largely benefit from studying at BIHR, thanks to its tie-up with the Australian Retailers Association (ARA), which is the most recognised national retail training provider in Australia. In collaboration with ARA Retail Institute, BIHR is committed to providing retailers with the skills and knowledge to develop the performance of their business and their human capital. Its programmes are designed and facilitated by leading specialists to ensure they are practical, current and relevant to the needs of the industry. Students are acquainted with a range of necessary skills, including: retail buying, financial matters, visual merchandising, marketing, operations, and sales and service strategy. The faculty that teaches at the institute comprises a mix of experts from Europe and Asia, who have the backing of experience and extensive knowledge in their areas of specialisation. They are screened and hand picked by the associated international bodies. Those conducting the Diploma in International Hotel & Tourism Operations also undergo further teacher training and partake in exchange programmes at HTMi in Switzerland to hone their teaching capabilities. Due to the outstanding achievements of the BIHR in the Kingdom of Bahrain, Dadabai Holding has taken a pioneering initiative to offer its distinguished experience to the Kingdom of Saudi Arabia (KSA) by establishing The National Academy for Higher Training. So far, more than 4,500 trainees have graduated from BIHR’s branch in KSA, all of them being employed in different avenues of the hospitality and tourism sectors. The BIHR also has a six-month apprenticeship programme for secondary school dropouts, who otherwise would have no road ahead to further learning or to make their living. “We take them under our wing to train them in hospitality skills from scratch, to enable them to land secure jobs in the market. We groom them to get back on track and positively contribute to the country’s work force,” says Hatim. “The medium of instruction is Arabic, and it is a more technical and vocation-oriented course that has produced many success stories that we are proud of. “The running of this institute is Dadabai Holding’s way of giving back to the community and leadership of the Kingdom. We have put in our own resources, monetary and material, to ensure the smooth running of BIHR, and we will ensure that it continues to prepare smart, young professionals to enrich Bahrain’s human resources,” says Hatim. The BIHR looks forward to welcoming more students through its doors year after year, polishing them to become smart professionals in the dynamic hospitality and retail worlds. BIHR would like to praise the wise leadership of the Kingdom of Bahrain for their great initiative in supporting the private sector institutions, particularly in the field of education. “The astute government has recognised the importance of education by taking on a proactive role in building opportunities for the youth. BIHR has been and continues to be dedicated to its efforts in developing the hospitality and retail industry, and preserving and improving the great reputation that Bahrain has gained in the field of academic and vocational education,” says Hatim. BIHR’s sprawling 60,000sq/ft campus houses up-to-date equipment and study materials, in keeping with current industry standards. BIHR and its affiliates are members of the following organisations and offer programmes validated by them. My fascination with the subjects grew as did my passion for this profession. Though it is hard work and full dedication is needed for success and progress, I feel proud of my accomplishments and look forward to achieving higher goals. I’m currently working in the front office at Le Méridien, Bahrain. I enjoyed studying at HTMi Bahrain and I am very proud to be placed well in my career. I am now working in the HR department in a resort in Seychelles. I came from India to study at HTMi Bahrain campus. I’m happy to be part of this team, all faculty and students were very helpful when I first came to Bahrain. The classes have a positive vibe and we were never bored, each module offers something different with a new methodology of teaching. I love my HTMi Bahrain Campus. I am currently working in food and beverage at The Westin, Bahrain.